The ASCE Board of Direction voted unanimously at its July meeting to adopt new language in the Society’s Code of Ethics that expresses a professional obligation to provide fair and equal treatment for all. Engineers shall, in all matters related to their profession, treat all persons fairly and encourage equitable participation without regard to gender or gender identity, race, national origin, ethnicity, religion, age, sexual orientation, disability, political affiliation, or family, marital, or economic status. a. Engineers shall conduct themselves in a manner in which all persons are treated with dignity, respect, and fairness. b. Engineers shall not engage in discrimination or harassment in connection with their professional activities. c. Engineers shall consider the diversity of the community, and shall endeavor in good faith to include diverse perspectives, in the planning and performance of their professional services. 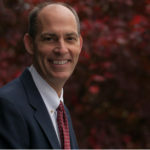 “ASCE has been working to advance diversity and inclusion within the engineering profession for many decades, and the Board’s recent action of codifying its longstanding policy in the Code of Ethics reflects our collective responsibility to promote a diverse and inclusive profession,” said ASCE Executive Director Tom Smith, ENV SP, CAE, F.ASCE. ASCE’s Committee on Diversity and Inclusion and Committee on Ethical Practice began collaborating on the new canon in 2016, seeking to provide a basis for enforcing ASCE’s commitment to diversity and inclusion. Quincy Alexander, M.ASCE, chair of CDI, presented the rationale for Canon 8 to the Board of Direction in March, citing the number of government agencies, engineering societies, and private engineering companies with similar provisions already in their bylaws. The addition of Canon 8 marks the first revision to the ASCE Code of Ethics since 2006. I am proud to see ASCE adopting this new portion of the code to ensure that as we plan and design, we are more deliberate in considering the range of users. One example where we would have done better is in the design of bicycle facilities. For a very long time, they were not considered for their uniqueness and added to as a minor element to many roads, including those with speed limits exceeding 40 mph. Extensive research has shown that women are unlikely to use on-road bicycle facilities even when they are acceptable to male riders. (See research published by TRB committee ABE70.) When the planner/engineers involved in such projects included women, the conversation changed and now there are more hard barrier separated lanes and off road lanes. They not only serve the women riders better but open the facilities to use by many other populations (families with children, etc.). Another example is transit facilities. With labor costs rising, stations and other transit facilities were moving to more reliance on technology for “safety” measures. Again, extensive research shows that women are less likely to feel safe when there is only technology. They also want to see some presence of people (transit police or the like). As more women engaged in the conversation, agencies found a way to balance the costs and the designs to ensure they were attracting all potential riders. There are many examples like this with respect to physically challenged individuals. As someone who is fully mobile, I can’t imagine all the potential barriers in some designs that might limit use by this population. Having representatives from that community enriches the discussion and allows for consideration of options that might not otherwise even be identified. There are certainly things that civil engineers design where these aspects are not relevant. When they matter, the sooner we model the population we serve, the better we will be at designing those elements of our infrastructure. I am thrilled to see ASCE stepping up to ensure that inclusivity and diversity are adequately addressed as one of the foundations of CE practice. As a female engineer who has experienced both subtle and not-so-subtle discrimination over the course of my 30+ year career, I can personally attest to the need for these issues to be more consciously discussed and addressed in both practice and academia. In order for CE to thrive in addressing today’s challenges, we must have diverse perspectives and provide equitable opportunities for all to participate and succeed. 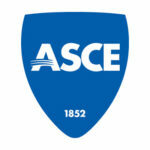 I’m very happy to see that my Society, ASCE, has added Canon 8, following the lead of other organizations such as IEEE. I am particularly thrilled to see the addition of 8c, which I have not seen addressed in other codes. Far too long, engineers have designed things “for” the communities they serve without having their input and designing “with” them as end-users. As a person with a disability, I was refreshed to be approached by a local planner an asked how his city could make its parks and recreation facilities more accessible to me and to others in wheelchairs. What we as engineers and educators must realize it that while ADA and other disability-related legislation provide a good start for addressing accessibility, they provide a minimally acceptable baseline from which we work. The best insights come from those who rely on accessible features. I’ve had to speak up to prevent an area used for accessible parking to not be converted to green space adjacent to a new building because the remaining accessible parking was far away and depended on using a bridge (with unreliable elevators) to cross a major roadway. Again, based on the ADA, this was acceptable because a maximum distance from buildings is not specified for accessible parking (it only requires spaces to “… be located on the shortest accessible route of travel to an accessible facility entrance.” However, to those of us who have limited mobility or other disabilities that make walking even a few hundred feet very difficult, it makes a huge difference. While my examples are from the perspective of disability, the same holds true for other communities. KUDOS TO ASCE ON CANON 8!!! I was wondering why there was no inclusion veteran status in the new canon? While there are numerous Federal and state laws prohibiting discrimination on the basis of someone being a veteran, shouldn’t ASCE also want to champion that also? Especially given how broad the new canon is in covering other forms of discrimination? When I see things like “c.”, I roll my eyes. It sounds like flaky, meaningless language. As a rational engineer, I find it mildly disgusting that such fluff has been approved by my professional society. If the persons who crafted and approved of this language want it to actually mean something, they should provide some examples of successes and/or failures. Not necessarily in the code of ethics, itself, of course (although more clarity and meaning would be appreciated and appropriate). Examples for “a.” are common knowledge (civil rights cases, discrimination lawsuits, persons of color or women being unfairly and irrationally disregarded or dismissed on the basis of race or gender). Same for “b.” (sexual harassment lawsuits would be most common, women fired or otherwise coerced through working conditions when unwilling to engage in sexual acts with organizational superiors). Statements “a.” and “b.” are obviously appropriate and reasonable on their face. I don’t have any idea how professional practice is supposed to satisfy the requirements in “c.”, though. Actually, I’m not sure that any of the statements should be part of our “professional code”. The civil engineering profession clearly has a professional obligation to hold the safety of the public paramount. That is why we exist. We could not otherwise. These recently adopted statements feel more like they should be a personal pledge by members, and which members could choose to embrace in whole or in part. Is our profession now going to take a stand on which bathroom people should use? Should we advocate for such things on projects? Should such things not be worked out through legal channels (in which individual members are freely able to participate as private citizens, completely unrelated to their professional affiliation)? Your comments are well taken., Just one question, why did you wait until the canon is approved to voice your concerns. this has been an ongoing concern for over a year. Would have loved to hear your concerns then. your comment about the “professional obligation to hold the safety of the public paramount. That is why we exist. We could not otherwise.” is wonderful and is well taken, that should be our profession. unfortunately there are several engineers out there that use the profession as a business and that is what we are trying to avoid. Now that I’m returning to the page, I feel a bit embarrassed by the apparent vehemence of my previous comment. I recall feeling annoyed, but “disgusted”, even “mildly”, was too harsh. I still stand by the basic principle, though. As to the question “why did you wait”, I was not aware that this was being discussed. Looking back through my emails, I did find one mention of this embedded in an ASCE Leadership Letter email from last April. I admit that one instance was there, but I also don’t feel that I was engaged in the discussion. One mention in one email 4 months ago does not match with “ongoing concern for over a year”, in my opinion. I do not feel like I was part of the discussion (for example, by circulating a draft version for review and comment by the membership). Point taken. I will need to be more vigilant in the future. What Yvonne Weatherton states above is helpful to me. I can see where “diverse perspectives” could apply in her situation. However, I have to wonder why this is the responsibility of the engineer, rather than being directed at insufficient ADA requirements. Wasn’t there an architect (or maybe landscape designer) involved in the project, who should be responsible for addressing these considerations? This Canon seems to place an onus on the civil engineer performing site regrading to ask “but has anyone considered disability access?” I think such an engineer should receive a gold star for thoughtfulness, but I’m not sure the engineer should be considered unethical for failing to ask this question. As a female civil engineer, TY for the new D&I Code of Ethics! I support this as a Professor of Ethics and as creator of Ethics courses or Chapters everywhere I taught and practiced.